The Ariane 6 is a two-stage to orbit launch vehicle and the latest iteration of the Ariane rocket family. The rocket is not a significant departure in design or functionality from the Ariane 5. The vehicle’s design is instead a move to drastically reduce launch costs in a bid to compete with the likes of SpaceX. 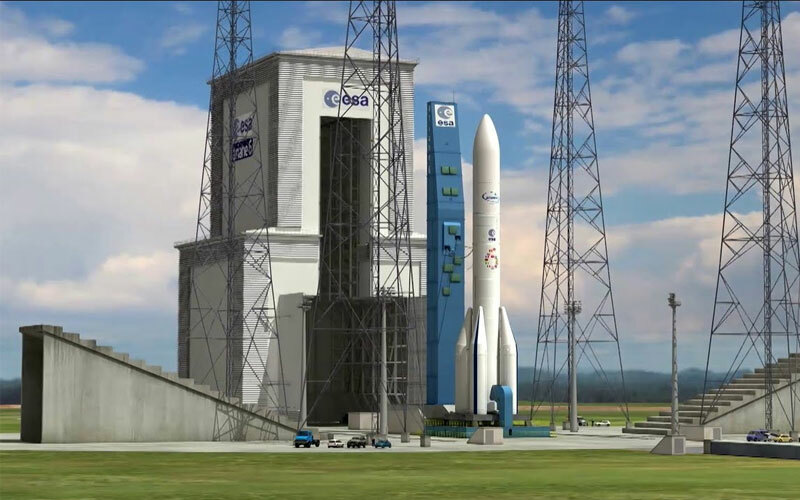 The first Ariane 6 design was approved by the European Space Agency in 2013. The design called for a three-stage vehicle with the first two stages powered by P145 solid rocket motors, and the third by an LH2 and LOX-powered engine. However, the design would go through a number of different iterations over the years. In 2014, Airbus and Safran proposed the Ariane 6.1 and 6.2 variants. By September 2014, the Ariane 6 had again been redesigned with the 62 and 64 variants being introduced. Finally, in January 2016 updated Ariane 62 and 64 designs were approved with a public-private partnership funding the vehicle’s development. The final design offers a scalable launch solution with the Ariane 62 powered at launch by 2 P120 solid rocket boosters and a Vulcain 2.1-powered core stage. The Ariane 64 adds an additional 2 boosters for a total of 4. Both variants carry an upper stage that is powered by a cryogenic Vinci rocket engine. The additional boosters on the 64 variant increase the Ariane 6’s payload capacity to a geostationary transfer orbit from 4,500 to 12,000 kgs.